Beginning in the 1980’s Las Vegas began losing much of its long, and at times, controversial history. Classic hotels, such as the Dunes, the Sands, and Sahara, were torn down to make way for the now famous mega-resorts. 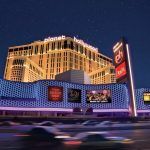 A city that was once known for glitz and glamour turned its attention to family friendly entertainment with hotels such as MGM Grand, Treasure Island, and The Mirage among others. For many die-hard Las Vegas tourists, the city lost its allure. Guests no longer dressed up for dinner, casinos were large and confusing, and the $1.99 shrimp cocktail? Replaced with upscale, trendy restaurants. 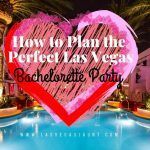 Yet while the old hotels and marques that once populated the Strip are long gone, there are several unique gems in Las Vegas that have stuck around, and a few relics have survived. Opening in 1958, this is the oldest steakhouse in Las Vegas and still maintains all of the ambiance of yesteryear. Located on Saraha Ave., just off the Strip, the restaurant has expanded over the years yet hasn’t sacrificed its original concept of being a traditional steakhouse. With large red leather booths, dark paneled wood and a few original employees, this is a restaurant that honors its history. Regular customers who claimed their own table included Dean Martin, Sammy Davis, Jr., Frank Sinatra, Natalie Wood, Al Hirt, Joe DiMaggio, Nat King Cole, and Elvis Presley. Guests can ask to sit at Sinatra’s favorite booth, which is observed with a plaque. Sammy Davis Jr., would head here after performing his nightly show, as he was not allowed to eat at the hotel restaurants due to segregation. This little chapel has been a significant part of Las Vegas history since it opened in 1942 next to the now defunct Hotel Last Frontier. As the years went on, and Las Vegas Boulevard expanded, the Little Church of the West, was moved several times. Today, it is located near the Mandalay Bay. Despite its various changes of address, the quaint building looks exactly the same, with virtually no updating except some paint and new carpeting. Even the pews are original to the building. Located on historic Fremont Street in Downtown Las Vegas, the Golden Nugget first opened its doors in 1946 and has long been a popular destination for die-hard gamblers, since this was built strictly as a casino rather than a hotel/casino combination. With mahogany bars, crystal chandeliers, and imported marble floors, it was a one of a kind gambling Mecca. 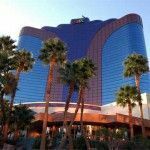 Yet in 1973, Steve Wynn became President and started an ambitious renovation and expansion program that turned The Golden Nugget into a hotel and casino. 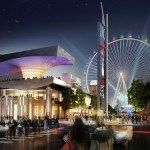 In order to create some allure to Downtown Las Vegas and his new hotel, Wynn signed Frank Sinatra, who was essentially in the twilight of his career, to an exclusive contract. In 1984, Sinatra and Willie Nelson inaugurated the Theater Ballroom, a relatively small venue that Frank referred to as “the Dungeon.” For the next three years he performed at the theater, and even recorded a live album, “Live from Las Vegas,” here. Today, the Theater is still going strong, and contains only 600 sits. This was the fifth hotel to open along the Las Vegas Strip, and operated from 1950 – 2000. Howard Hughes lived on the 9th floor, and later bought the hotel for $7 million dollars. It changed management several times after he died, before Steve Wynn purchased it. The Desert Inn was later imploded to make way for The Wynn hotel. Opening in 1950, this iconic hotel was long known for it’s rotating silver slipper perched on top of the hotel. In1968, Howard Hughes purchased the hotel, and myth has it that he was paranoid a camera was in the point of the shoe and was taking pictures of him in his suite at the Desert Inn. Once he owned the hotel, he had the lights turned off and the rotation stopped. Signs from the Flame Restaurant Bow & Arrow Motel and Binion’s Horseshoe are also here not to mention much more. 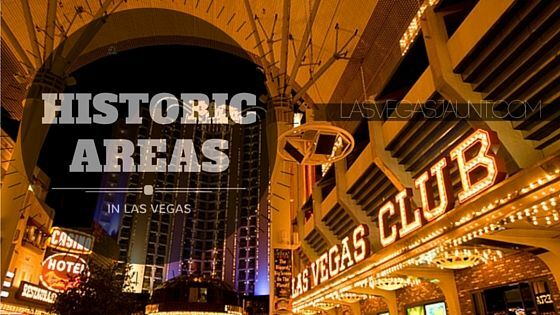 These historic Las Vegas sites are just the tip of the iceberg. In fact, it was just announced that Wayne Newton’s former estate has opened as a museum. Trying to become the “Graceland West,” the mansion is filled with his cars, opulent gilded furniture and other memorabilia when he lived here for over 45 years. Located in southeastern Las Vegas, the 52 acre Casa de Shenandoah is open now for tours. Newton moved out of the property in 2013. 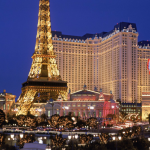 While the days of listening to Frank Sinatra sing at the Sands, or Elvis throwing out his towels to adorning fans at the Hilton are long gone, Vegas has some definitive, nostalgic experiences for those that what to capture just a brief moment of when Las Vegas truly was the epitome of cool. 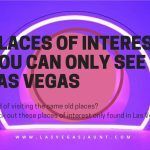 What do you miss about the old Las Vegas?